Its design is centered on the minimal. 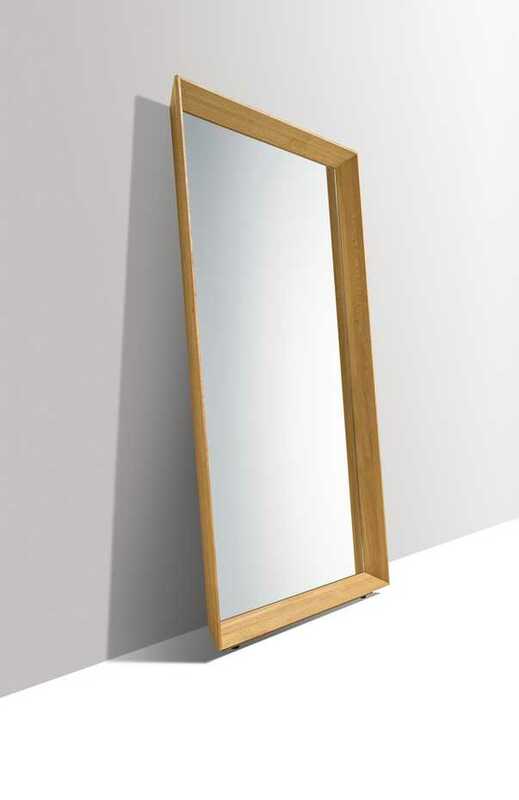 But this sparseness does not apply to the many options for its setup and use: as a solid wood panel, mirror or a combination of both - haiku always cuts a fine figure. 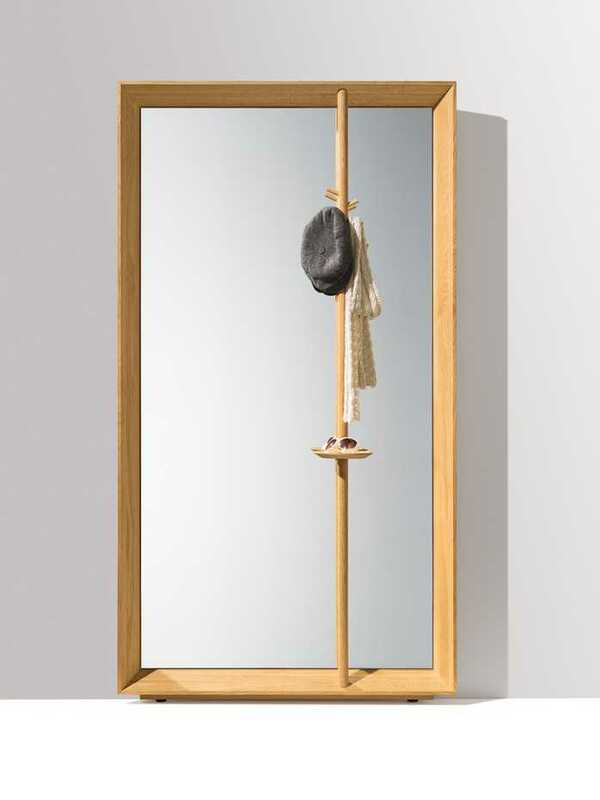 It does so whether it's standing on the floor or mounted, or is casually leaned against the wall in its mirror version. Clever extensions transform haiku into a space-saving entry hall piece that serves all important basic functions. 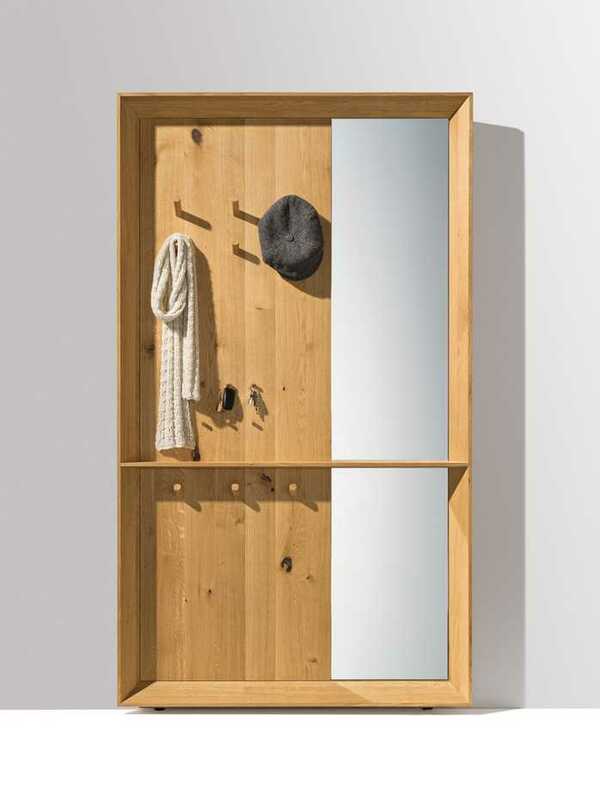 If it is planned as a mirror, a rail with a key tray for clothing and small everyday items can be positioned vertically in the wood frame. 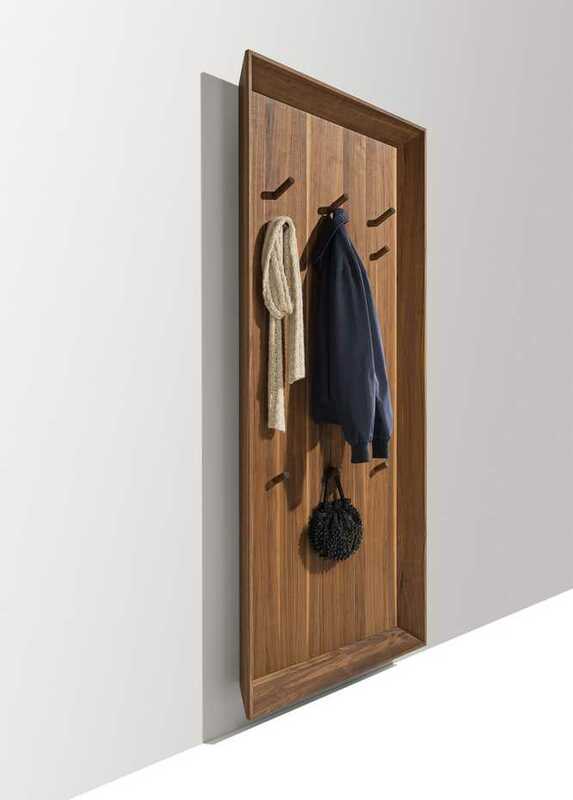 The solid wood panel with hooks in different lengths offers added space for jackets, handbags and more. All versions of haiku can be equipped with a practical storage shelf for items such as keys and sunglasses. And, when you want, haiku's indirect LED lighting provides for a very particular, atmospheric ambience. Please see Type Chart for suggested configurations.